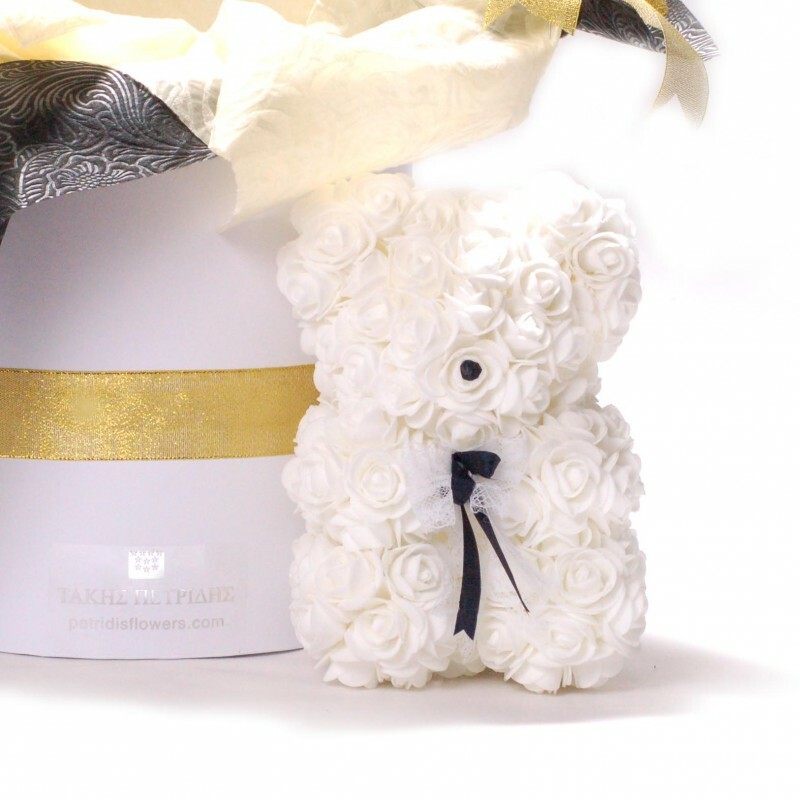 Teddy bear,synthetic roses - Same day delivery! 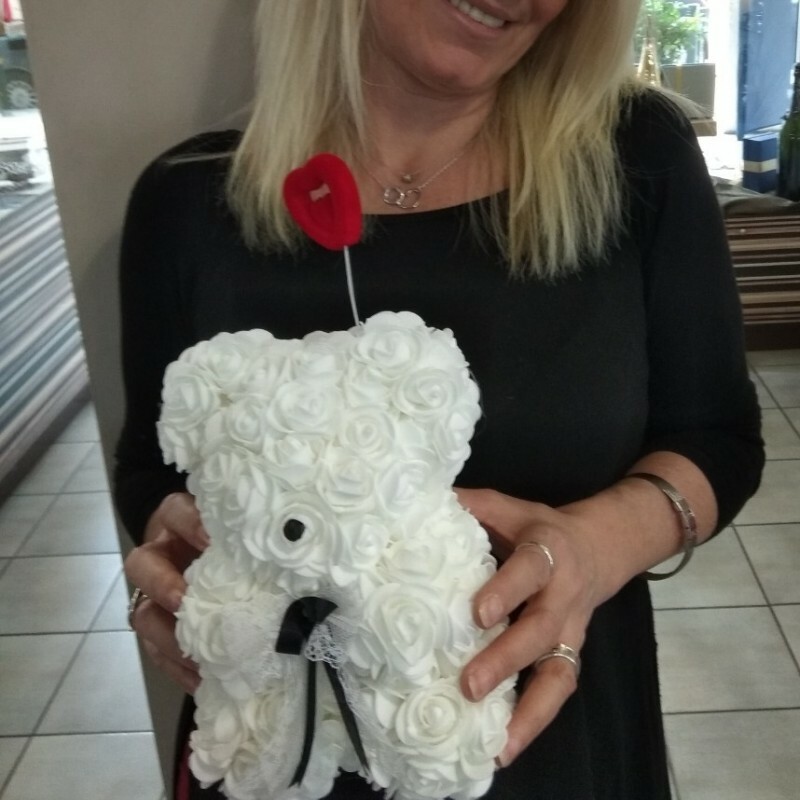 Give the person you love a gift made of roses that will last forever! 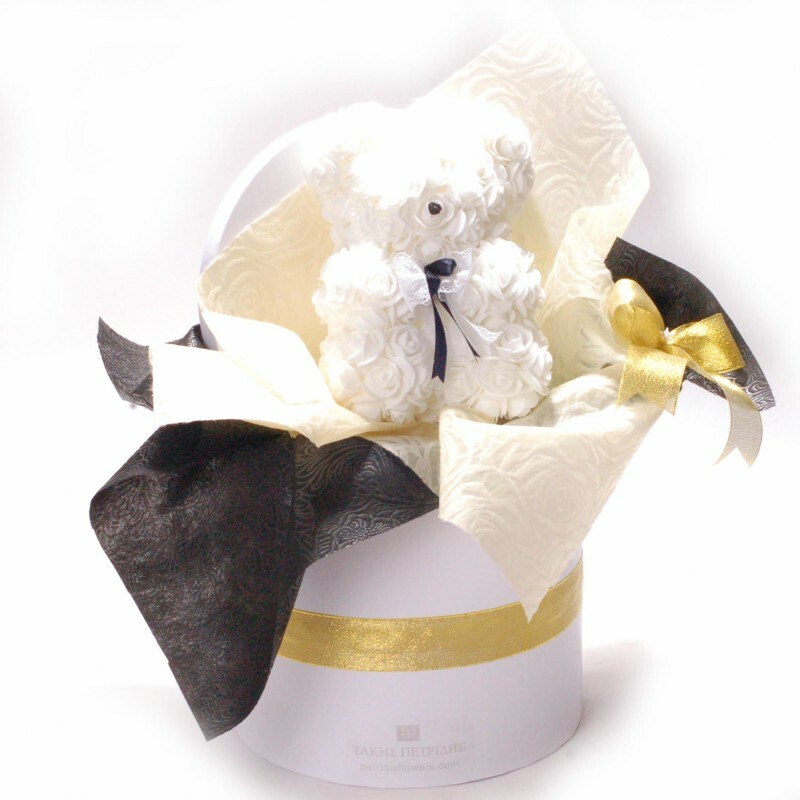 A gorgeous decorative teddy bear made of soft synthetic roses in a luxurius gift box. The perfect gift that will look great as a decoration piece in your loved one's home or office.Pack.dimensions 25X25cm.